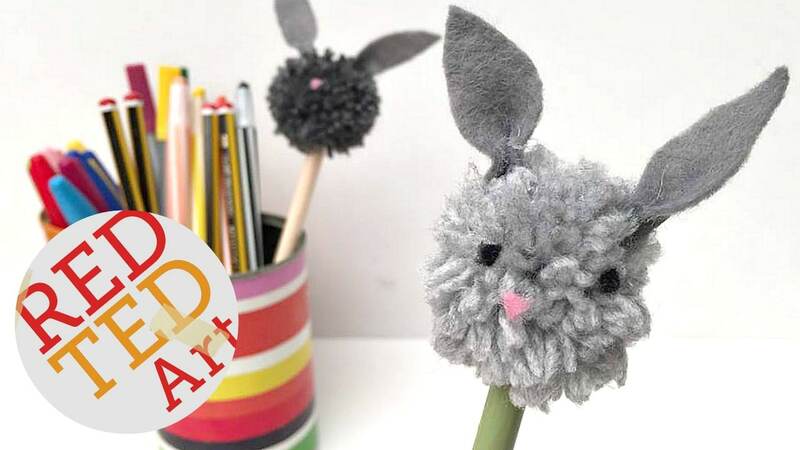 These cute little pencil toppers, are super duper easy and fun to make.. and they are make a great Back to School craft, a lovely gift for bunny lovers or of course a great Easter or spring craft too. 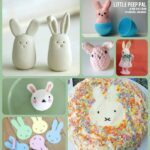 Pom poms are super to make – there are lots of different ways to make a pom pom! 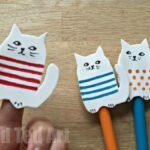 Personally we love the Clover Pom Pom Maker and the Fork Pom Poms the most (click through for step by step photos, or check out the videos embedded below). I am sharing a HOW TO video here today.. but below the video, I also provide you with written instructions in case you cannot view the video. 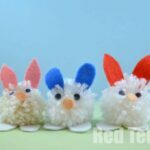 There are also two pom pom making videos embedded! 1) Firstly, prep your pencils – we peeled the decor off one pencil and painted the other with enamel paints. I used these enamel paints – US/ UK (affiliate links) you can use acrylic paints to or not bother! 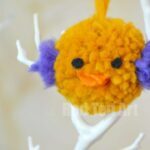 2) Make your pom pom – either using, your preferred pom pom making technique! Trim the pom pom if necessary. 3) Cut out some long point ears. fold at the bottom and glue into place. 4) Glue on some eyes and a nose (small pieces of felt). If using PVA glue, let all this DRY FIRST before proceeding. 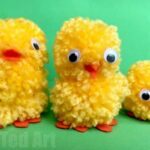 If using a hot glue gun.. move on…. 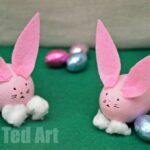 Hope you have fun and enjoy our Pom Pom Bunnies! 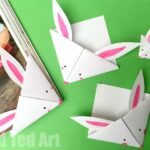 These bunny toppers are cute. 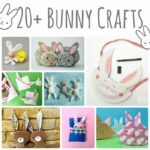 My wife is really into bunny-themed things for our daughter, so I’m definitely sending this over to her.